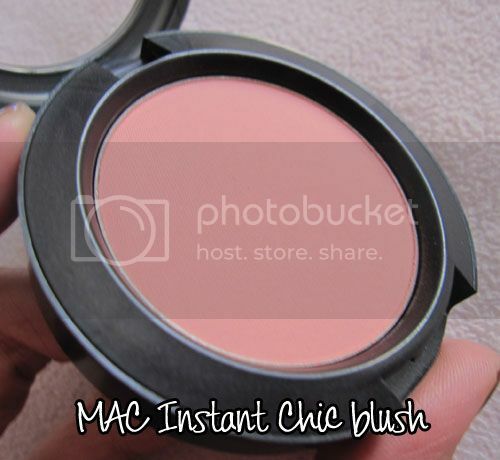 Instant Chic blush. I don't normally listen to the hype about products, and this product did not stand out to me when I saw the entire collection. I was still curious because there are so many raves about this product, and how it makes your skin look like its glowing etc,.. so I asked my lovely MA, Monnie, if she could put it on my cheeks. After applying, she immediately exclaimed how cute it looked and so did the other MA's, so when I looked in the mirror I was stunned! My cheeks really did look glowy and lit up my entire face, and its awesome that a non-shimmery product can actually do that! 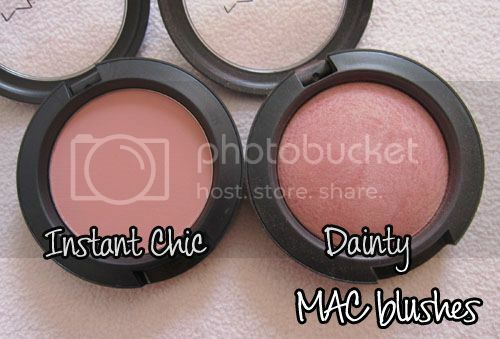 When I got back to my place, the closest blush I had to this colour was Dainty mineralized blush. 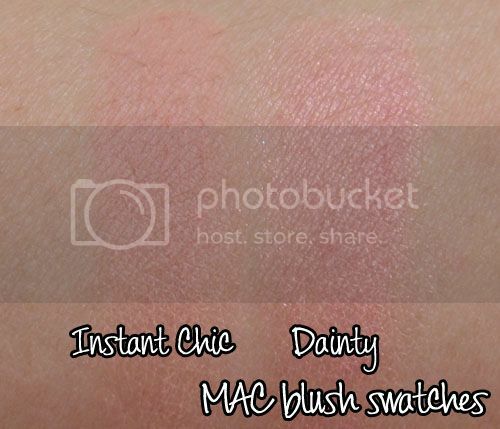 Dainty is a tad more pink and is quite shimmery as you can see in the swatch below. 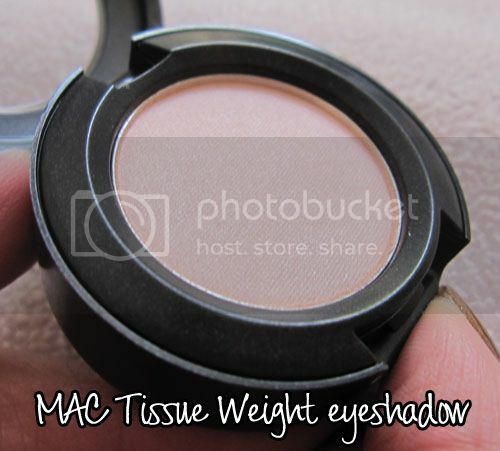 Tissue Weight eyeshadow is another one I picked up. It doesn't look like much in the pan, but it is a beautiful everyday colour. 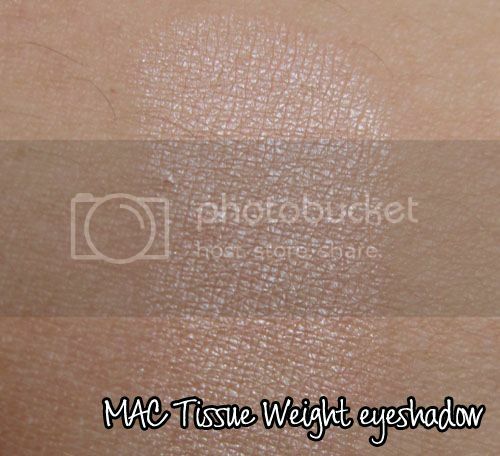 It's supposed to be a frost, its a lot less frosty than other frost eyeshadows from MAC. It gives off a beautiful sheen that's really flattering. A few makeup gurus on YouTube have looks using this product, you can check them out to see the amazing sheen this eyeshadow gives! 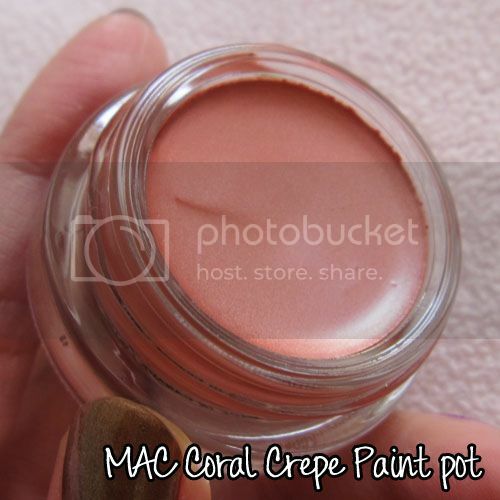 Coral Crepe paint pot. 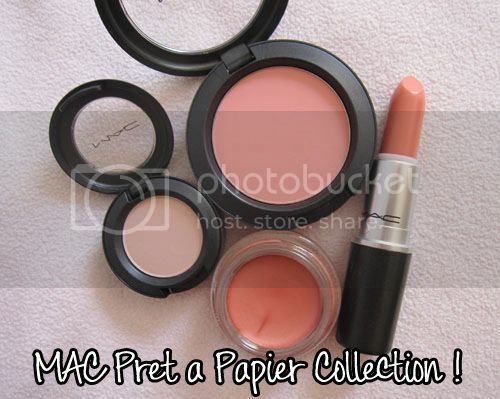 It's not often MAC releases a new paint pot, and this one's limited edition too. I picked this up because it's such a wearable shade, and if you apply Tissue Weight on top of it, it just looks divine! 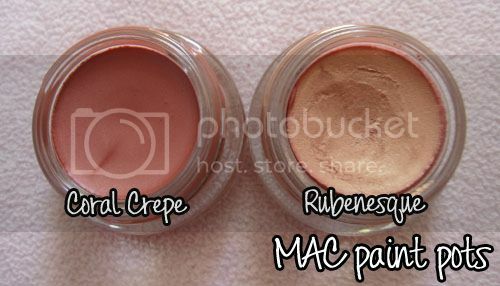 The product I thought might be similar to it is Rubenesque paint pot, which I have, but when I compared the two I was terribly wrong! Coral Crepe isn't as frosty as Rubenesque. Rubenesque is also a lot more 'gold' whereas Coral Crepe is just a true burnt coral colour. I hope this post was helpful guys! I promise to do a look using all these products soon. you have bought everything amazing!! i feel like going n seeing the collection AGAIN...ahhh, princess...you just are tempting me to spend!! Great purchases Livia! I am so happy you love Instant Chic and Dressmaker as much as I do! I can't stop wearing either of them. 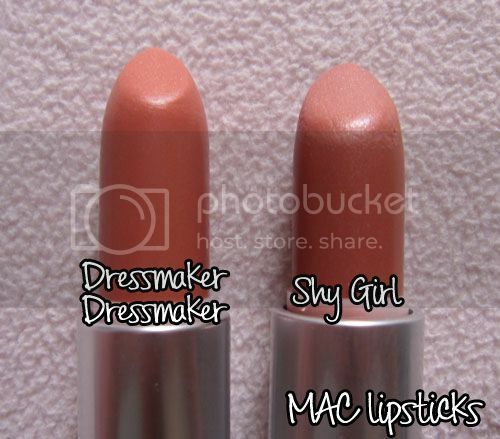 Pretty collection by MAC. Hi! I love this collection, too, and I got all the things you did, plus a bit more! It's up on my blog so please have a look! Thanks! The rest will have to wait until they're swatched on my skin! Thanks for sharing your views and swatches! Love this review! Greatt mac stuff! Great photos! 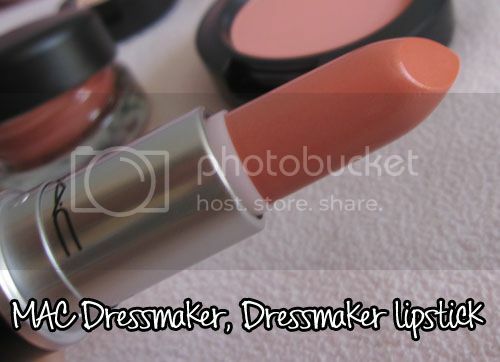 I also got Instant Chic, Dressmaker and Tissueweight, and I love them all. 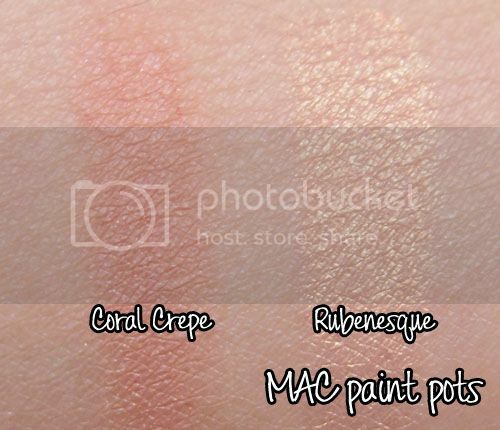 I got the Groundwork paint pot as it suited my colouring better but I keep seeing pictures of coral crepe and it looks so pretty I'm totally tempted by that one too! Lovely purchases, you really suit corals so this collection is ideal for you! I bought Hipness and Cut to Fit, I can't wait for my package to arrive! Livia, this is an amazing post!! I wasn't convinced to even look at the collection, I will def be taking a look pretty soon @ Nordstroms!! Thanks for this review, you always have very clear, awesome, close-up photos. I need a point-and-shoot cam, so I might look into the model you're using. 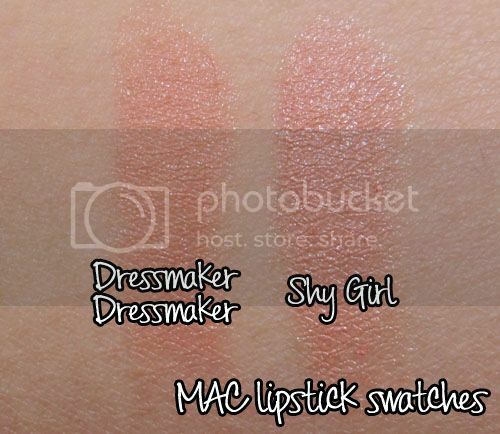 The blush sounds amazing! livi livi!!! i wannt i want i wanttt!!!! the first time I checked out the collection I thought it was all pretty blah. Now you're convincing me to go and take another look at it, especially tissueweight and the coral paint pot!